This OST Converter tool is a solution to convert Outllook OST emails to MSG file without Outllook. It is a standalone utility to save offline folder emails in .msg file format. A user can export OST file without comprosing any data loss. OST to MSG conversion with this app maintains the metadata of emails like: Read or Unread status of the messages, To, Cc, Bcc, etc. It also extracts & recovers deleted messages from the source OST file. 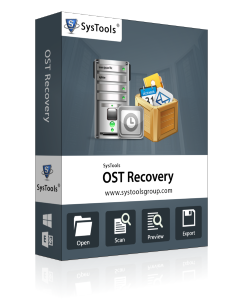 Therefore, you can use this application to retrieve shift deleted data from OST file. It bears offline folders of multiple MS Outlook versions like 2016, 2013, 2010, and all its below versions.OST Converter is a solution that supports encrypted as well as compressible OST files. There is no limitation of the file size imposed on the application. After scanning a OST file, the tool will instantly generate preview of data on its window. The file data comprises of emails, contacts, calenders, etc. Moreover, you can view and open email attachments from preview window itself. This software repairs corrupted/orphaned/inaccessible Exchange OST files and extract data from it. It supports both highly as well as less corrupted files and provides dual mode file scanning. The software provides an option to save the scanned OST file. This will reduce the time of reloading data again in tool window, whenever required. Moreover, you can set your desired naming convention for saving the emails on machine. This tool perform its working in absence of MS Outlook. Therefore, it is not mandatory to have Outlook configured on your machine for conversion. In addition, the software guarantees that the data will kept intact throughout the conversion. If you want to test the working of OST converter and analyze the interface of the product, then you can use our OST freeware software.This is a trial version that enable its clients to convert only 25 items/folder of offline OST file into MSG file format. Moreover, to convert OST Outllook without any file number limitation, it is recommended to our clients that they should purchase the product from our official page.